If you&apos;ve got a sweet tooth, there are no shortage of places to get your fix in the Cumberland Valley. Whether it&apos;s delicious locally-made bark, scrumptious chocolate, or retro candy treats, you&apos;ll find something to satisfy your cravings. With all of the options in the Valley, we set out to find your favorite. And the winner is...Georgie Lou&apos;s Retro Candy in Carlisle. 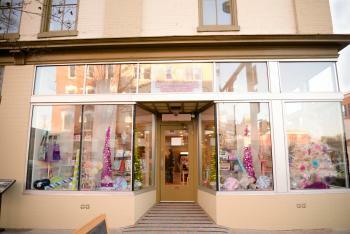 Georgie Lou&apos;s offers hundreds of candy treats, including nostalgic sweets and current-day favorites. They also make their own fudge in their High Street location. Beyond the selection of flavors, Georgie Lou&apos;s hosts or participates in several downtown Carlisle events, including the Annual Downtown Bunny Hop. Congrats to Georgie Lou&apos;s Retro Candy!